After the treachery and slaughter they met during the raid on Glendalough, Thorgrim Night Wolf and his small band of surviving Northmen have returned to Vik-lo, where Thorgrim again sits as lord of the Viking longphort. But the Northmen are a restless lot, and soon they find themselves eager to put to sea. Loading weapons and supplies aboard the four longships under Thorgrim's command, they set out in search of the rich merchant ships that now ply Irish waters. But not all cargoes are the same, nor all merchant captains easy targets for the Norse raiders. 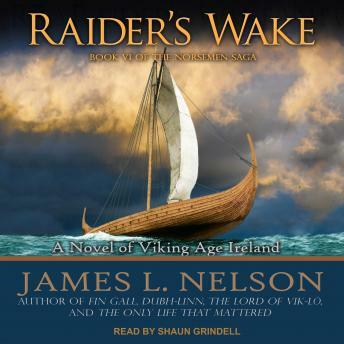 Crossing wakes with a Frisian shipmaster who could be Thorgrim's equal in seamanship and cunning, the Northmen soon find themselves seeking vengeance even as they fight to keep from a watery grave.